The Cottage Latch is part of the Cottage Latch range by From The Anvil. This is the only Cottage Latch in the country to be manufactured of steel. Gives the latch a subtle, matt richness and offers excellent protection when properly maintained. 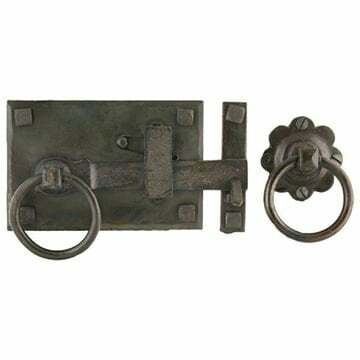 It is supplied with all fixing screws, an 8mm spindle and matching ring on rosette for use on the outside of the door. Designed to be used on doors up to a thickness of 70mm.